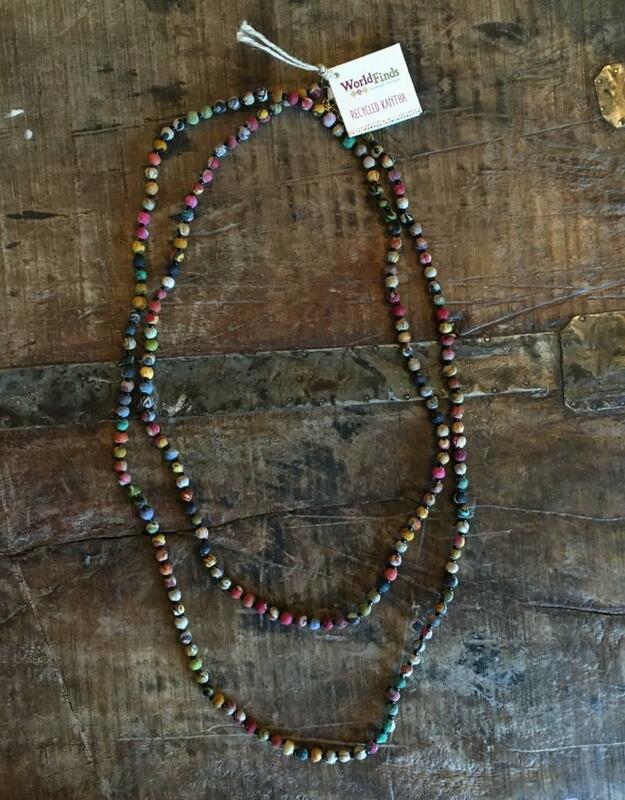 This necklace is 61" long to be worn in a variety of ways- in one continuous loop, doubled as a necklace, or wrapped many times around the wrist for a colorful bracelet! 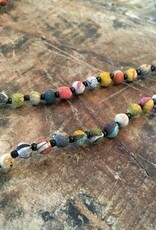 Each bead is spaced with a smaller black bead. 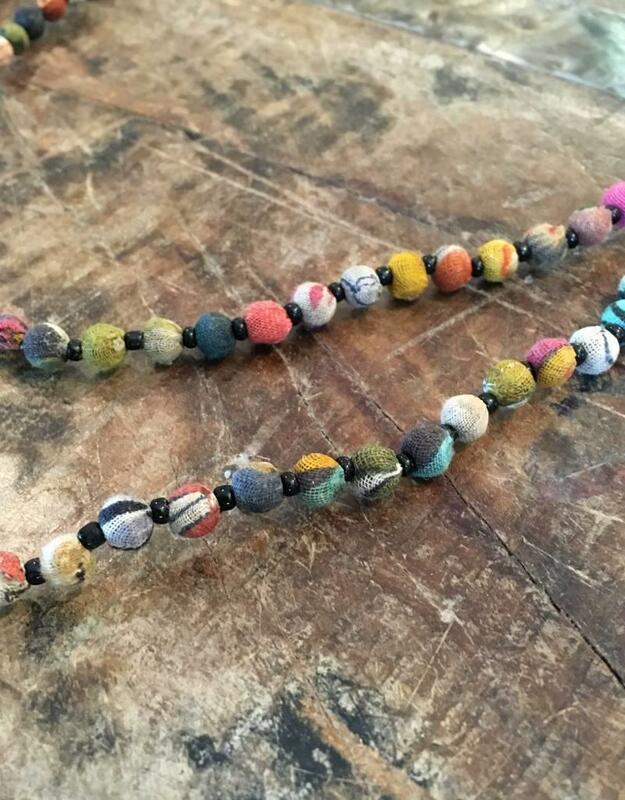 Kantha beads are made with recycled fabric, so each necklace will be unique!